While Apple is trying to impress the audience with giant iPads, Samsung is taking a bit creepier, yet original approach. Enter Hug-Chan – the robot that spreads the holiday spirit with its hugs. Yes, you read that correctly. 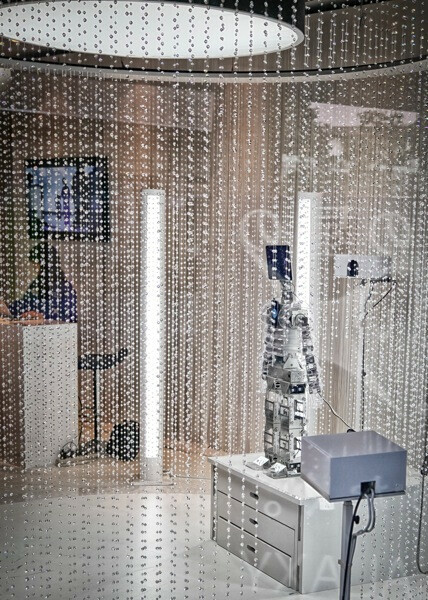 The humanoid is currently exhibited at the Roppongi Hills hotel in Tokyo, Japan and entertains people with its holiday songs, dance moves (it can do “the robot” too), and, of course, by holding them in its embrace. “heart”. In particular, the tablet handles movement and audio playback while the smartphone is used for user interaction and for inputting commands. 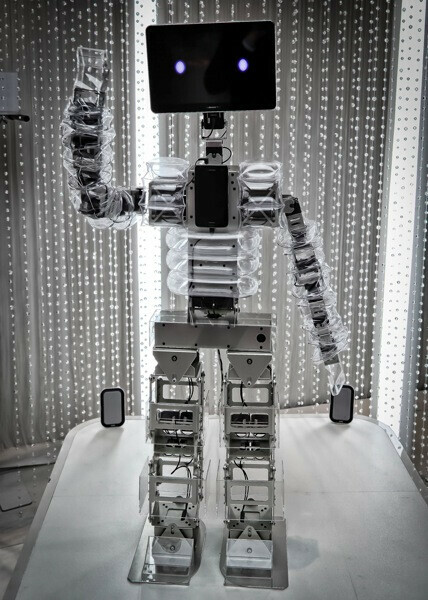 Those of you who cannot see Hug-Chan in person are free to check out the Galaxy Xmas Hugs website and watch a live stream of the robot in action. Alternatively, below is a “behind the scenes” video that explains how the whole project came to be. ahh. the power of open source. you wont find me hugging that death bot anytime soon though.. lol. 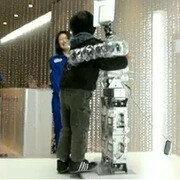 My luck, skynet would be come self-aware at the exact moment im getting my robo-hug, and i get squished. Maybe I could get that *** robot to choke the f**k out of verizon so they will release the nexus!